For those who work in environmental organisations, and/or would like to access creativity and health. We will be both playful and serious, using body-based work, arts, writing and nature, to explore our relationship to the inner and outer ‘wilds’. Re-wilding ourselves, for our own survival and thriving, and that of the planet. Unleash the passion, power and vitality in your spoken, sung and written words. Find the story you need to tell. Go from beginning to end on your project. 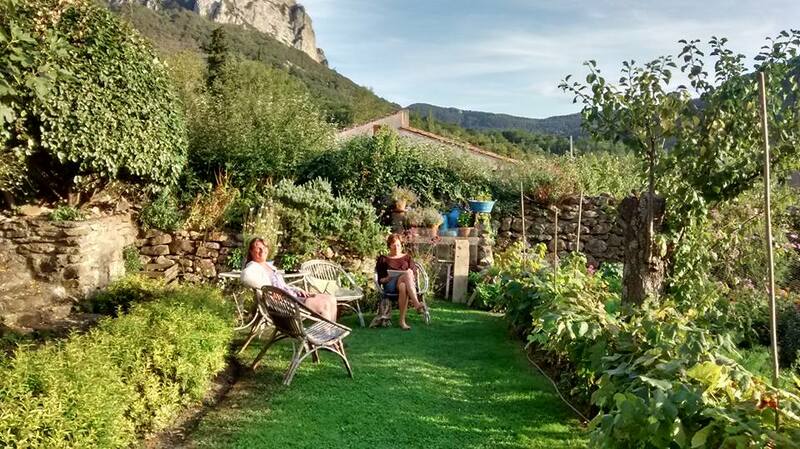 Join Bridget for a week-long writing and storytelling escape in the wild Pyrenean mountains of the South of France with a group of like-minded people and on-hand tutor support. These relaxed immersive retreats are forays deep into nature and your imagination, set against a background of good food, sunny days, blazing camp fires under starlight nights and comfortable accommodation. Experience the thrill of a shared exploration of some truly wild places. Every level of experience. All writing genres, including spoken word. 7-9 September 2018, 3 days 2 nights. Bathe in words under a forest canopy with this exceptional writing retreat. Bridget Holding, founder of Wild Words, and Hetti Dysch, wilderness facilitator will offer a series of inspirational writing workshops and mindful nature meditations. Designed to unleash your wild creativity and develop key writing skills, this retreat will set you off on a path for completing your own projects. Set in a stunning location, this retreat will also explore the psychological and traditional literary symbolism of ‘forest’ as a place of contemplation, creativity and transition. There will be the opportunity to revitalise in Forest Spa’s eco wood-fired spruce sauna and hot tub, enjoy delicious rustic gourmet food and sleep in the forest with a range of simple but charming accommodation options. Fledgling and experienced writers, in any genre, welcome. Booking through Lavenham Literary Festival. Le Presbytere, Bugarach, Aude, France. a week-long writing escape in the wild Pyrenean mountains of the South of France with a group of like-minded people and on-hand tutor support. Uppingham School. Part of Uppingham Summer School. Barnwell Country Park. As part of the Oundle Festival of Literature. Nature writing is now one of the fastest growing genres; the new generation of nature writers are selling like hot cakes. Come and find out about the market, and how to write for it. It’s no longer the idealised rural life and landscapes of the pastoral poetry tradition. It’s raw, edgy, groundbreaking, thought-provoking, politically challenging, and society changing. It takes in poetry and prose, fiction and non-fiction. It fuses nature writing, travel writing, philosophy and psychology. Its writers heal and find meaning through contact with nature, and so do its readers. Us nature-writers are no longer regarded as something akin to train spotters. We’re cooler than Madonna! Join us. I’m not promising you’ll master Occitan lyric poetry from the high middle ages, but, in the spirit of the troubadours, we’ll explore how to bring words alive on the page and in oral storytelling. Subjects include: movement, rhythm and rhyme in poetry and prose. How music and poetry, as well as spoken and written words, inform each other. Our themes will be chivalry and courtly love - what else! The workshop is suitable for anyone who loves words in any form. No experience necessary. You don't need to book- just turn up. English and French speakers welcome. The workshop will take place in English, with simultaneous translation into French. Join Bridget for a week-long writing escape in the wild Pyrenean mountains of the South of France with a group of like-minded people and on-hand tutor support. These relaxed immersive retreats are forays deep into nature and your imagination, set against a background of good food, sunny days, blazing camp fires under starlight nights and comfortable accommodation. Experience the thrill of a shared exploration of some truly wild places. At The London School of Economics and Political Science. A toolkit of small, playful experiments, to revolutionise how you tell stories in all genres. We will take body awareness, movement and spoken word into writing, with a focus on the ground-breaking world of ‘new’ nature writing, one of the fastest growing and best-selling genres. With her focus on learning from nature, and the embodied, holistic experience of the storyteller, university tutor and psychotherapist Bridget Holding is revitalising traditional creative writing teaching. All levels of writing experience, and confidence, welcome! For further information and tickets see The London School of Economics website. Bridget Holding (@BridgetHolding) is a former screenwriter, whose articles have appeared in Writing Magazine and The Psychotherapist, among other publications. She is also a UKCP registered psychotherapist. She’s a former associate lecturer for The Open University, and has been a tutor of creative writing for The University of Exeter since 2008. Bridget is the founder of Wild Words. Her online and real-world courses explore the relationship between ourselves, our world and our words. Green Horizons, Puivert, Aude, France. In the six sessions you will be guided through the first and second draft writing process, to come away with a completed short story, or narrative poem (fiction or non-fiction) of publishable quality. This workshop will focus on ways to bring aliveness into writing and how to experience a deeper connection with the natural world, through words. Using the natural environment of Lower Shaw Farm as inspiration, we’ll explore key skills to help make words jump off the page. An exploration into creative writing, in the stunning environment of Batsford Arboretum. These 7 units present the Wild Words theory and offer you the chance to appreciate and expand on your experience of wildness in yourself and in the world. These 7 units will take you step by step through the second-draft writing process, using the Wild Words method to consciously hone skills, until they can be practiced without effort, instinctually. A day workshop that explores the questions What does it mean to be creative? How can we move from block to flow in our personal and creative lives? How can getting to know the instinctual part of ourselves help to free our creativity? 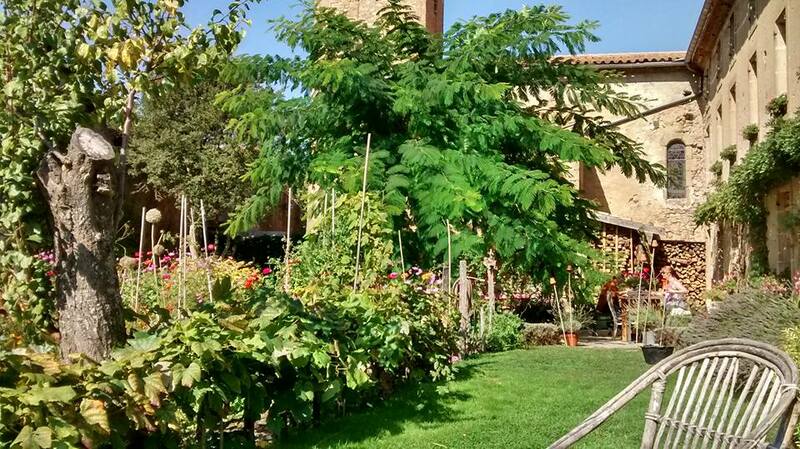 The workshop takes place in the beautiful natural landscape of Green Horizons/Horizon Verts, in Puivert, Aude. Weather permitting, we will roam outdoors. Please dress appropriately.